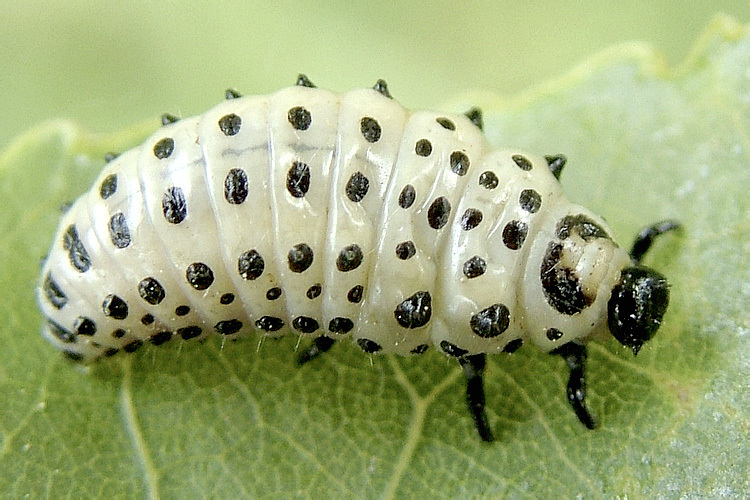 North-Western Bulgaria, near Danube River, 30 m a.s.l., larva on leaf of Populus. 20.V.2008. Photo by D. Doychev with Fujifilm FinePix S7000.